Tiger Woods returned from his four-month layoff with an impressive round of 4-under 68. Woods shot the best opening round of his Masters career, and he made two eagles on Thursday. 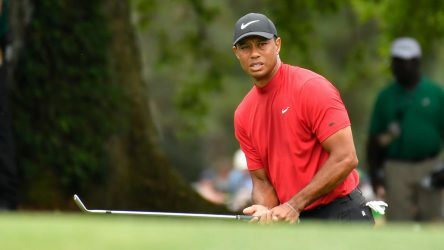 Woods received a huge ovation from the gallery when he came to the first tee for what was surely one of the most anticipated shots in Masters history. He hit a good one. Woods returned to the Masters after more than four months away from the game. "I had to hit the ball well and I had to make some putts," Woods said. "Unfortunately I didn't putt very good today, otherwise it could have been a very special round." Woods made two birdies, a bogey and an eagle on the front nine. After months of hiding out, Woods has re-emerged at Augusta National. Inside the ropes, he's the center of attention. Fred Couples is known for his easygoing demeanor, but the 50-year-old has been cleaning up on the Champions Tour this season, winning three times. He proved he can play with the young guys as well, taking the first-round lead with a six-under 66. Couples played in a sporty  but non-traditional  pair of golf shoes with no socks. Tom Watson nearly won the British Open last year, and he is off to a terrific start at the Masters. 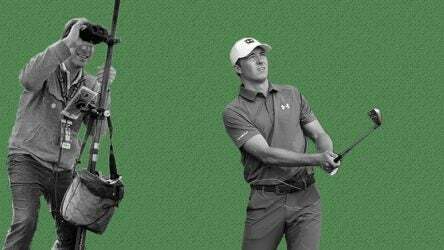 He birdied three of the last four holes to shoot a 5-under 67. Watson turned 60 in September. Phil Mickelson had been struggling with his game, but he found some magic on Thursday with a 5-under 67. Mickelson's wife, Amy, is battling breast cancer. Angel Cabrera started off well with a bogey-free 33 on the front nine, but he shot a 4-over 40 on the back nine. He is the defending champion. Anthony Kim won last week in Houston, and he continued his good play on Thursday with a 4-under 68. Ernie Els was 3-under par until making a double bogey on 18. Jim Furyk needed a birdie on 18 to shoot an 80. Jack Nicklaus and Arnold Palmer met on the first tee Thursday morning to kick off the Masters with ceremonial tee shots. 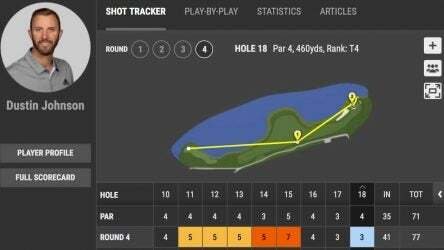 Palmer nailed his shot down the right side of the first hole. Nicklaus joined Palmer as a ceremonial starter for the first time.